Sencity Dublin 2013 will take place at RDS Concert Hall on February 9th. The event is visited by hearing, but also deaf and hard of hearing people, who are triggered to experience the music through a specially developed sense stimulation concept. A range of specialists (such as VJ’s, Light artists, Sign dancers and Aroma/Food jockey’s) thereby ‘translate’ the music into all the five senses of the body – everybody is enabled to capture the music’s passion, diverse emotions, vibes and lyrics through different channels. 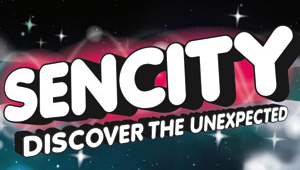 Sencity originated in the Netherlands but has been taking place all over the world for the past 10 years, including Sao Paolo, Cape Town, London, Sydney, Miami, Berlin and many more. For the first time Sencity is now going to take place here in Dublin. Tickets, priced at €17.50, are available at Ticketmaster.